Is better access to education (and better education) actually solving Kenya’s youth unemployment challenge? 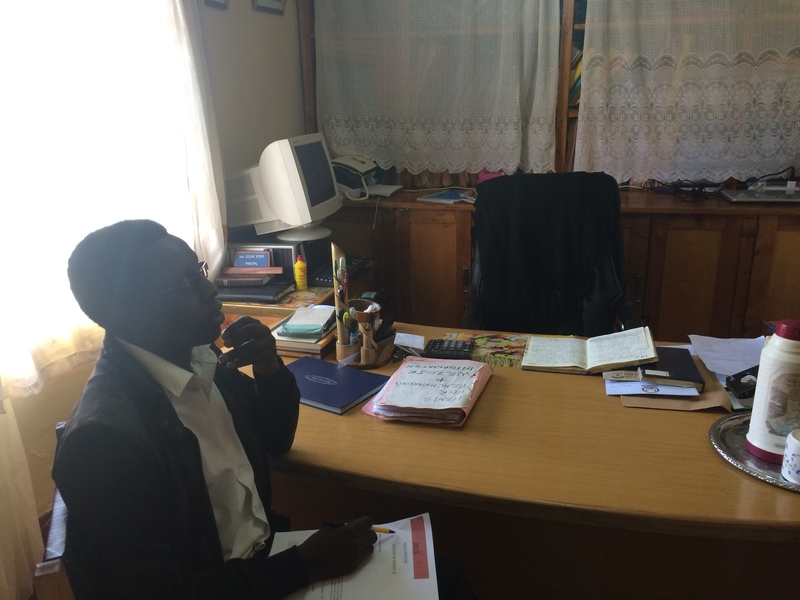 Meet Peter Keter, one of the entrepreneurs we are working with during our time here in Eldoret, Kenya. Peter is 24 years old, has a university degree in Information Technology – and, like many of his peers is unable to find permanent formal employment in his field of expertise. He has scrambled through different casual jobs, worked as a librarian for some time and is now seeking to expand his school supplies business, with a focus on high-quality provision of student I.D.s. Peter is one of the many examples who may not have chosen to start up his own business would he have been successful with getting permanent, formal employment in his field of expertise. Kenya’s economy is overwhelmingly dominated by informal business activities, and the high unemployment rates among young people across different educational levels, means that is comes as little surprise that more and more young and ambitious people resort to self-employment to make their living. Of course, a majority of youth are still stuck at low levels of educational achievement. Specifically, 62 percent of youth aged 15-34 years have below secondary level education, 34 percent have secondary education, and only 1 percent have university education. As per western standards, educational attainment appears to have a strong influence on an individual’s labour market activity, and recent Kenyan government programmes (incl. free access to primary and secondary education) as well as a plethora of international development programmes have largely focused on increasing access to and quality of education. A broad consensus amongst most organizations sees a clear case for urgent enhancement of interventions that promote access to quality basic education for the youth, for better labour market outcomes. From what I have witnessed, education alone will not create jobs – it may qualify individuals to perform better in any job but for many it is their only return on investment. Now is the time for policies that improve infrastructure, fight corruption and create frameworks for a more robust and thriving business environment in Kenya. First and foremost this is necessary for formal job creation and only then will there be demand for young aspiring graduates like Peter. That’s me Jan know how to put it correct.